I'm so excited, I can barely sleep. 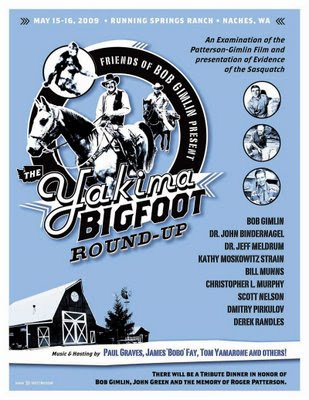 In less than two weeks, there will be an amazing gathering of bigfooters that will likely end up being the best bigfoot conference and social event of the year. That's not minimizing the excellent conferences held annually in Texas, Ohio, and elsewhere, but this one is special. It's the inspiration of Bob Gimlin himself. Bob, with help from Tom Yamarone, James 'Bobo' Fay, and Paul Graves has created an excellent opportunity for education and talking 'squatch. There is an impressive list of formidable speakers on both Friday and Saturday. I have been in the field with several of them, and greatly respect their research. There will be new information presented that will, according to my good friend James 'Bobo' Fay, "change everything." Not only will data be presented, but unique first-hand perspectives on Roger Patterson and Bob Gimlin will be given by their good Yakima cowboy friends that will be in attendance. 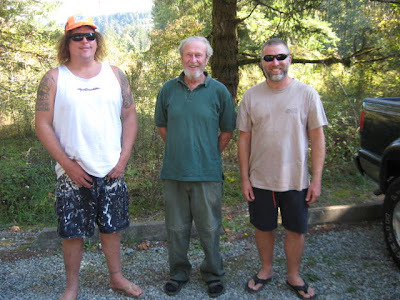 There will be no reason to believe the slanderous writings of speculating authors of error-ridden books after speaking to people who actually hung out with Patterson and Gimlin. These men's honesty cannot be questioned, if one knows (or knew) either of them. Updates to current projects will be presented, as well as overviews of Native perspectives, cutting edge linguistic analysis of vocalizations, and new perspectives on the PG film. A variety of footprint casts will be displayed from both my collection, as well as Dr. Meldrum's. Having attended these sorts of functions before, I can say that hanging out and talking 'squatch after the official event is over can be an extremely valuable opportunity to schmooze with some of the best in the field. People of all interest levels, from the moderately intrigued to the bizarrely obsessed (arguably my own level...), will certainly have a great time. The crowd will be diverse and friendly. If you'd like to talk about the caloric needs of an ape that size, there will be folks to chew the fat with. If you'd like to talk about the time you saw an invisible bigfoot, there will be people there who would love to talk to you about it. If you are a party pooper and bring an excessively negative or combative attitude, Bobo will end up talking with you. He's the security for the event. Of course, this monumental event sold out months ago. People have been dropping from the role sheet occasionally, but there's a waiting list for tickets. 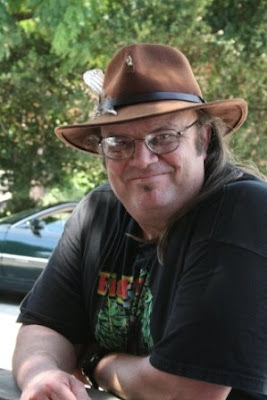 Look to Tom Yamarone's great website for updates and information: http://www.bigfootsongs.com/. I will, of course, write about this event and the adventures I have while attending. There's even a chance that I might get into the field for a night. 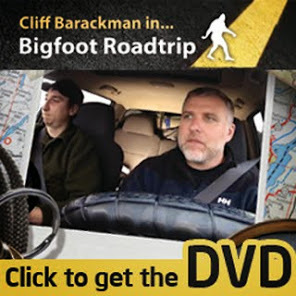 There are some very good bigfoot spots just a short drive outside of the Yakima area. It is not slanderous to write a opinion about that Patterson-Gimlin clip and mine is, that it is a costume. Cliff have a great time, looking forward to the information you share when you get back. I appreciate this enthusiastic posting about the upcoming Yakima Round up. I've heard Bob tell his story in person and my husband spent over 30 minutes asking him questions (which Bob graciously answered). He is one of the rare elusive western gentlemen. Wishing you good weather as well. Ella Enchanted, a real original blogger..... nothing like a blog full of rss feeds, so much for individual commentary on a topic of interest. Are you glad you got that off your chest since you think it's a suit and everyone reading this blog should know? However the heck you picked up slanderous anywhere in this enthusiastic post by Cliff.... I just have to go HUH!! !